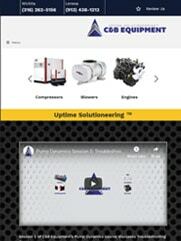 The success of C&B Equipment’s business hinges upon users being able to seamlessly navigate their website. Having a website with a hefty amount of content meant that organization and search engine optimization were key. 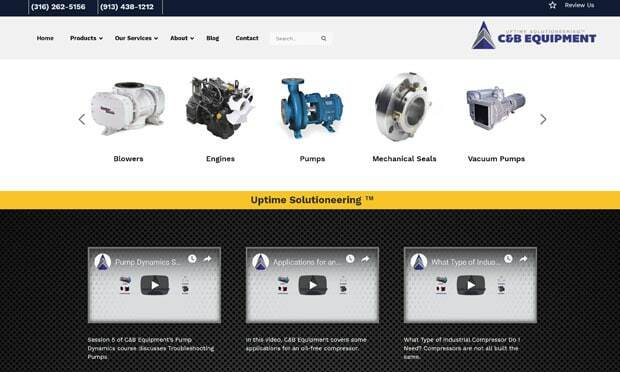 The primary focus for the C&B website redesign was creating an intuitive navigation for the more than 200 pages on the website detailing the company’s industrial equipment distribution and services. 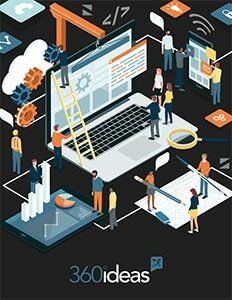 With that amount of content, C&B benefited from search engine optimization that connected visitors to the most relevant content. A significant amount of those visitors were coming from mobile, so it was also important that their site perform well on small screens. Now, both mobile and desktop visitors can easily navigate the site and make an appointment with C&B in just a few clicks through an easy scheduling tool!